the end of last month, Weird World welcomed its latest signing Xenoula into the fold. 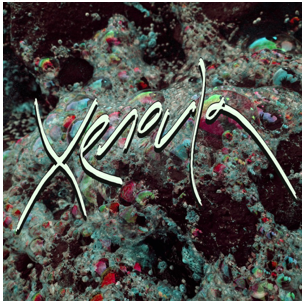 We are now pleased to announce that Xenoula’s eponymous debut album will be released on November 24th. Alongside the announcement, Xenoula has shared a new song ‘Caramello’ and its accompanying video. The kaleidoscopic video expands on Xenoula’s story as we see her traverse across desert plains. Xenoula takes the listener from the brooding, electric clouds and bubbling synths of ‘Chief of Tin’ – watch the video here – to the sun-warped bassline pop of ‘Caramello’ as we move further into Xenoula’s enthralling universe. When Romy moved back to the UK at the age of 16, the culture shock and collision of two contrasting worlds inspired her to make music as a way of communicating her feelings about her new surroundings to the crowds of people she instinctively shied away from. For Romy, Xenoula is an exploration of nature and human contradictions. The music is infused with memories of her childhood in South Africa, her experiences in the sprawling cities of Europe and with the realm of the ethereal and mysterious. Recently retreating to the quieter climes of north Wales, Romy forged the sounds of Xenoula.